How Does Good Oral Health Help Keep Your Blood Clean? As far as oral health goes, keeping your blood clean would be a layman’s term for preventing bacterial infections and elevated blood glucose levels. A study demonstrated that people with severe periodontal disease were up to 90 percent likely to also have cardiovascular disease. Here is how keeping to a rigid oral health routine can keep your blood clean. Bacteria and fungi present in your mouth can, in some cases, make their way to your heart to infect its inner lining. Endocarditis can cause strokes or permanent damage to your heart, and the infection can spread to other organs. Unhealthy gums can provide access of pathogens to your blood stream. It is a bigger risk if you already have a heart valve problem. Dental procedures can sometimes allow the pathogens access to your bloodstream. Maintaining good oral hygiene by twice daily brushing and flossing helps prevent your mouth from being a route of access to your heart by infection-causing bacteria and fungi. Bacteria and fungi naturally live on and in your body. Most are harmless, and some are even beneficial like good bacteria that helps digest food. Some other bacterial and fungal strains can become a problem when they proliferate. Diabetes decreases your body’s ability to control bacteria and fungi to keep them from proliferating. Diabetes also has dry mouth as a symptom, and this can increase the chances of an oral infection. If your gums are already infected with gingivitis or periodontitis, the inflammation increases insulin resistance and deteriorates your ability to control blood glucose levels. Higher blood glucose levels then increase the risk of infection. It can become a cycle that leads to a downward health spiral. If you have diabetes, you should have meticulous oral hygiene practices that includes flossing, using mouthwash, and at least twice daily brushing to prevent or control gum disease. You probably already brush with an American Dental Association approved toothpaste. Flossing helps remove plaque between teeth that your brush cannot reach. Professionals, like those at Village Family Dental, know that if you cannot tolerate string floss with the wax coating, try ribbon floss. It is slick and thin, and it slides between tight tooth spaces easier. Germ-killing mouthwashes do just what they say they will do—they kill germs. These “germs” are the bacteria that continually develop into plaque. Adding an oral rinse that contains fluoride can help you rebuild and retain tooth enamel to further protect against infections. The first step to infection in your mouth is the buildup of tartar, or calculus as the dentist calls it. You have probably heard of dental plaque. It is bacteria that forms a sticky film on your teeth. Within about 24 hours of not mechanically removing the plaque from your teeth by brushing or flossing it hardens into calculus. At this stage, it must be removed by a dentist or dental hygienist using a scraper. This buildup can form at and below the gum line. If your gums bleed when you brush or floss, you likely have gingivitis or periodontitis. The inflamed gum tissue provides a perfect route of access for bacteria and fungi in your mouth to infect your blood or cause worsening blood glucose control. The only way to prevent this type of gum disease is to brush and floss daily. Using oral rinses such as germ-killing mouthwash and fluoride rinses can also help. If you keep your gums healthy and prevent cavities, you prevent your oral tissues from being used to spread a bacterial infection to the rest of your body. You can reduce the risk of serious infections caused by poor oral hygiene. A lifetime of regular dental checkups along with daily brushing, flossing and the use of oral rinses is better than getting one serious heart or systemic infection caused by poor oral hygiene. 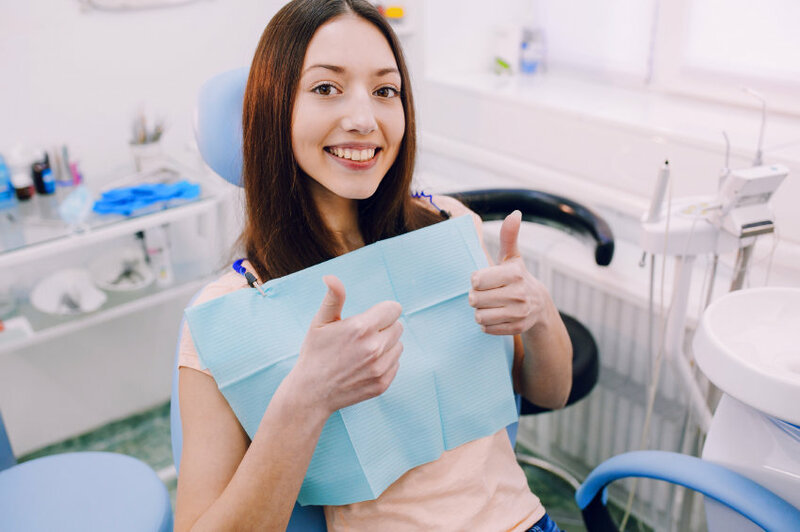 You may also find that getting oral health conditions fixed can help you better manage another chronic health condition by taking some stress off your immune system that is always trying to fight gum disease.